The NEW Power Endurance is designed to last, whilst offering amazing grip and low rolling resistance. 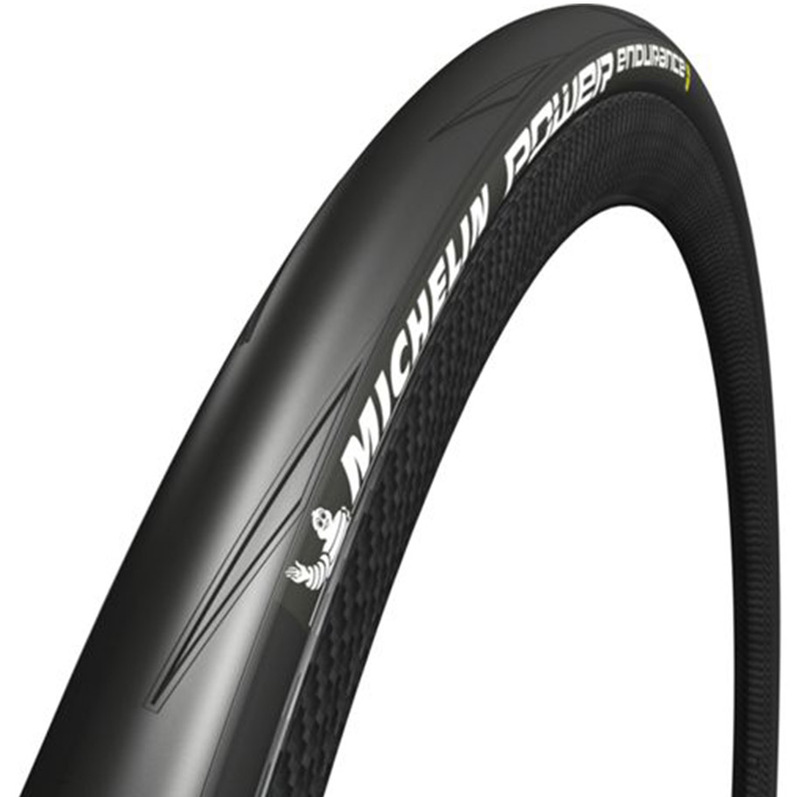 This tyre is aimed at the sportive and distance rider. I've been riding on Continental 4000 II s and I got tired of side wall blowouts. I tried these in red and everyone knows that red tires are the fastest...lol These actually roll well, they are comfortable, and look great. I had no problem mounting them. Time will tell how well they are with punctures. Michelin Power Endurance 700X25 is the best tire I have ever ridden. Smooth riding, comfortable, stable, great traction, and gets twice the mileage of the Pro 4. Without a doubt the best tire I have ever purchsed and put my bike. This is my first time using these new tires from Michelin and so far they are really nice. They have a nice ride, they feel very light and responsive, and feel very similar to the Pro4 Service Course tires I am used to. I can't comment much on their longevity yet but I am very impressed so far and will buy these again next time I need tires. I have 2600 miles on a prior pair of these. Never flatted, and still haven't blown through the wear indicator on the rear tire..... and I climb a lot which is hard on rear tires. Almost as fast and agile as the Competition line and last 3 x as long. This new Power series simply outclasses the competition. I've only got a few dozen miles on them so far but I absolutely love them. Noticeably smoother than the pro4 endurance's that I had previously. Will update once I put more miles on them. Great improvement over the Pro 4 series. Very fast rolling and quick with the same puncture protection. The 25's run a bit more narrow then the Pro 4's. Best price on the net by far. I've been running Michelin Pro 4 Endurances for the past couple years now. I loved them. Never had Any complaints or problems with them. When I heard Michelin was coming out with new tires that were going to improve on the Michelin Pro 4's performance, I was a bit skeptical, but decided to try them out anyways. I've only been on these new Power Endurances for about 300 miles, but I can tell a difference. Although a not very big difference, I can say these tires are more "grippy" and seem a little faster than the Pro 4 Endurances. Didn't think it was possible, but Michelin came out with a better tire than the Pro 4's in my opinion. This tyre is a very good tyre with great puncture resistance, good rolling, and terrific handling. Highly recommend for a tyre upgrade. Great grip, firm sidewall. Can't wait to get more miles on them.